Can you imagine explaining hashtags to your great-grandfather? They may seem a little silly or arbitrary at times, but hashtags are a powerful tool in your modern-day marketing arsenal. They provide an easy way to sort, organize, and group masses of data to reveal trends, conversations, influencers, and key insights. You can even use them to attract individuals to your organization and track community engagement. To use them effectively, however, you need to strike the right balance. For example, tweets with hashtags generate two times the engagement when compared to tweets without hashtags. But there is a point of diminishing returns. Tweets with 1 to 2 hashtags actually get 21 percent higher engagement than tweets that have three or more. To help you navigate the nuanced world of hashtags, we dig into the terms that should be on your nonprofit’s radar, tips for where to find them, and best practices to become a master. There are certain hashtags that everyone in the nonprofit space can track and use to their benefit. Hashtagify.me is a great tool for discovering these. When you search a specific term like “nonprofit,” the tool reveals several related hashtags you can also take advantage of to establish yourself as an influencer in the space, get discovered, and keep up with the times. Here are additional terms to keep in mind as the nonprofit industry continues to explore best practices from the for-profit sector. Hashtagify.me also provides a metric indicating the hashtag’s popularity. Use this to help you target different audiences and decide what to prioritize. Remember that bigger isn’t always better—sometimes going after longer tail, or more niche, hashtags result in more relevant and engaging conversations. Cause-specific hashtags are a great way to drill down into a more specific audience passionate about your type of work. These hashtags are also a great way to identify influencers and peers at a more granular level. You might think of even more granular examples. Mercy for Animals uses the hashtags #vegan and #govegan frequently to advertise and promote a lifestyle related to their life-protecting work. But beware—if you include a hashtag, make it intentional. Hardly anyone uses this first hashtag, unsurprisingly. The word alone is not enough information to be significant in this case. Use tools like hashtag.org to choose purposeful hashtags, and you’ll not only have a better chance of resonating, you’ll also look like you know what you’re doing (and that never hurts in the ever-changing social media world). Hashtags also help your supporters identify and connect with your organization and campaigns. Brand hashtags are a great way to grow your audience and also strengthen your individual relationships. 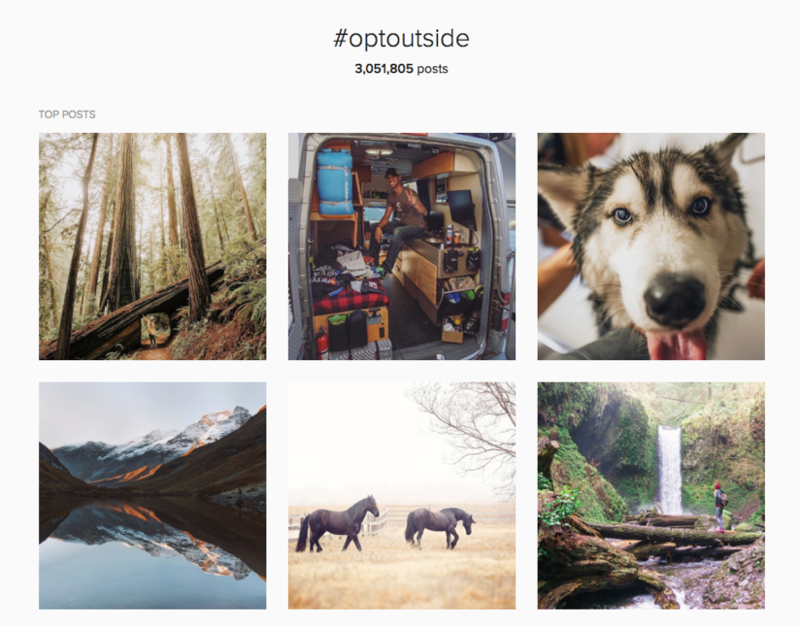 One example of a successful brand hashtag (which started as a campaign hashtag) is REI’s popular hashtag, #optoutside. Made popular through multiple campaigns, this hashtag now yields over 3 million mentions on Instagram. According to Adweek, “Many still use the tag on posts that have nothing to do with the company or the campaign.” The beauty of this original campaign is that it not only gave people an easy way to connect with REI, but the phrase and hashtag also extended beyond the company and now represent a lifestyle to many people. In this sense, brand hashtags have the power to transcend your organization and become a bridge that connects you to likeminded people all over the world. For individual marketing or fundraising campaigns, hashtags can be used to track engagement with your initiatives. The John Wayne Cancer Foundation named their annual fundraising campaign #ShowYourGrit and asked their supporters to participate by uploading a photo, sharing a story, or making a donation. By including the hashtag in the name of their campaign, they elevated its use and encouraged adoption. Apart from tools like hashtagify.me and hashtag.org, there are additional methods for finding hashtags. To find and select hashtags on Instagram, Hootsuite offers the following advice, which we’ve added onto. These tips can also be applied to other channels, such as Twitter. In the case of nonprofits, it’s not about competition, but about collaborating to reach new heights for the common good. Scope out the other organizations in your space. What hashtags do they use to engage their following? If you’ve identified influencers in your space, you can monitor their feeds to understand what hashtags they regularly employ. Keep track of the conversations they often participate in to make sure you’re not missing an opportunity to dialogue with supporters. Use a tool like hashtagify.me to unearth related hashtags and check their popularity. 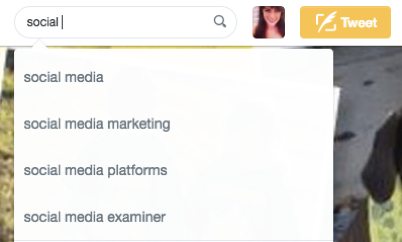 When you search a hashtag on Instagram or Twitter, related searches automatically drop down as additional options. Review hashtags here to get a better sense for how others search for the topic you’re exploring. To gather some pro tips on today’s dos and don’ts of hashtag use, we sat down with Classy’s social media marketing associate, Jenny Woudenberg for her advice. “Include a relevant hashtag in your organization’s profile on Twitter. This will allow your organization to appear in search results for that hashtag and increase your odds of being found. In this profile, they include #childhoodcancer to indicate that they speak to this subject frequently. Jenny also recommends staying aware of popular hashtags, trends, and awareness days that extend beyond your nonprofit. Trending hashtags are a great way to mix up your engagement, and gain more exposure for your nonprofit’s account and cause. 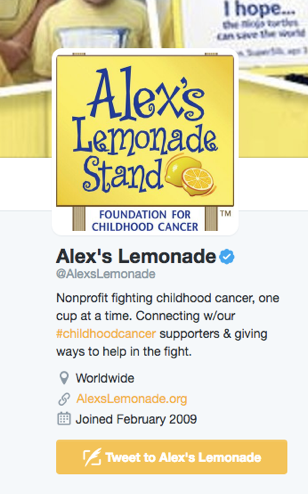 Alex’s Lemonade Stand participates in #ThrowbackThursday to resurface old content and expand their audience. Social media best practices are constantly changing, so it’s important to continue the dialogue around the use of details like hashtags. Do you have any tips to share about hashtags and how you use them to build your community? Let us know in the comments below!